“Taking burgers to the future”. That’s the first sentence you’ll see on Happy Boy’s about page and they’re not wrong. Entering this Tokyo-inspired eatery in Royal Oak is like entering a whole other world. Bright neon lights cover the place and it makes you feel like you’ve stepped straight in to an arcade game from the 80’s. Best of all they have a tasty menu full of burgers, desserts and brightly coloured slushies. A line up of @happyboyeatery slushies. 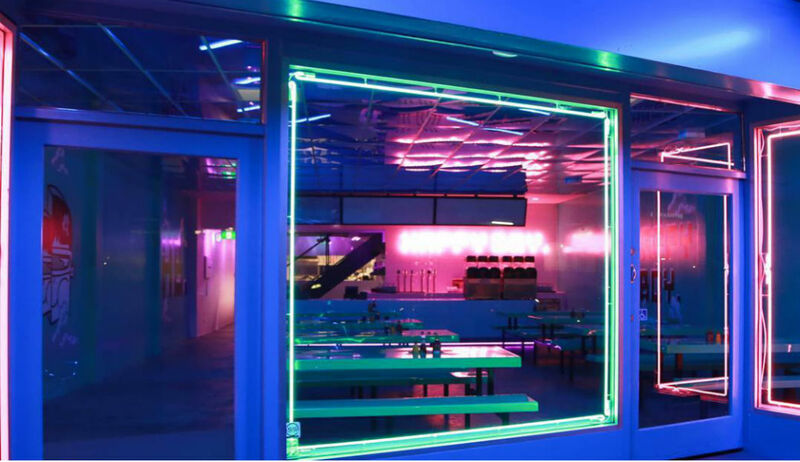 There’s a super cool pink, blue and white colour scheme to the whole place with pork, fish, tofu or beef burgers served on homemade steamed buns. They also serve chicken karaage which is one of my all-time favourite Japanese meals. Happy Boy is a true gem and it’s definitely not your run-of-the mill burger joint experience. It’s the perfect mix of tasty food and pleasing aesthetics. They’re open every day from 4:20pm til late. Check out their amazing video game themed website for a full-menu.